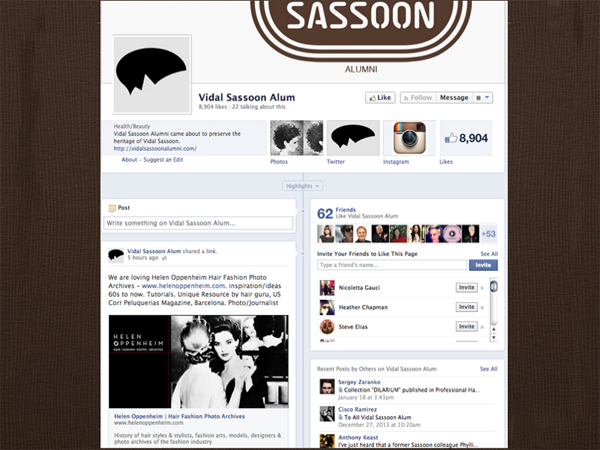 Home » Posts Tagged "Facebook Page"
An accolade, unexpected and appreciated, from Vidal Sassoon Alum Facebook page on this website. 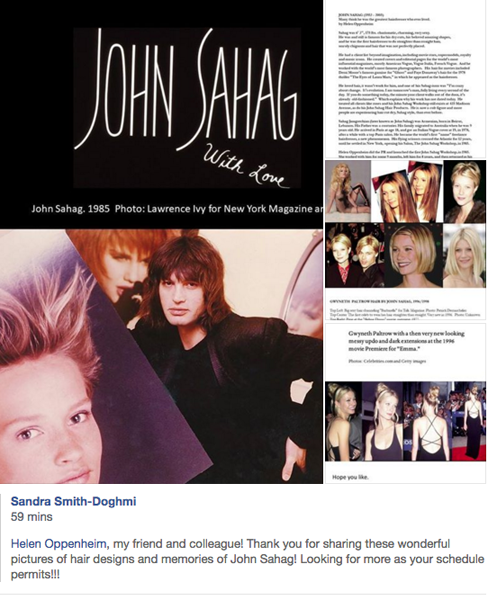 Here is what they said: “We are loving Helen Oppenheim Hair Fashion Photo Archives – www.helenoppenheim.com. inspiration/ideas 60s to now. Tutorials. Unique Resource by hair guru, US Corr Peluquerias Magazine, Barcelona. Photo/Journalist.”They had also posted two photos the day before from a Vidal Sassoon album on the website – see smaller version of the Post on Photos under the Like, to the left. Thank you Vidal Sassoon Alum.